For over thirty years, the representative of Ohio’s 9th Congressional District, Marcy Kaptur, has been devoted to and loved a country in turmoil, but her loyalty to Ukraine has endured much longer than just 30 years. 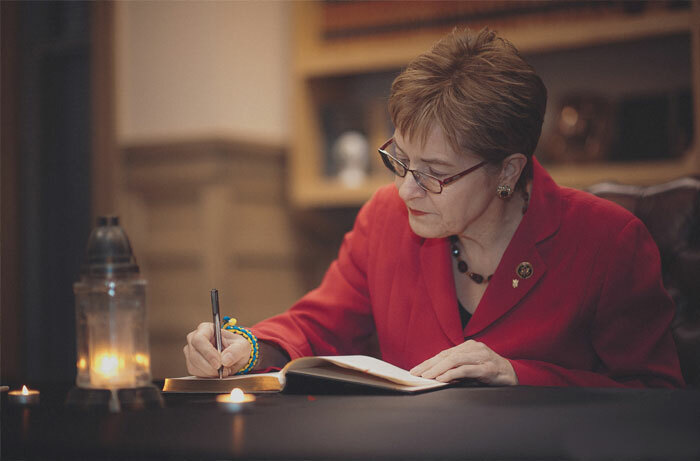 For Congresswoman Kaptur, it’s been a lifetime. 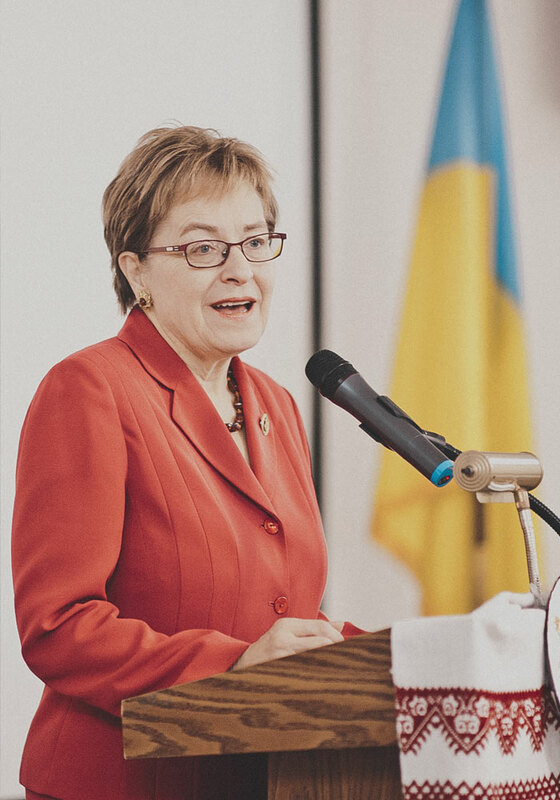 Congresswoman Marcy Kaptur has fused her love for Ukraine with her 16th congressional term by co-chairing the Congressional Ukraine Caucus, and co-sponsoring the Ukraine Freedom Support Act. On January 25th, the Congresswoman was honored by Chicago’s Ukrainian Diaspora for her continued support for Ukraine’s heroic freedom fighters. 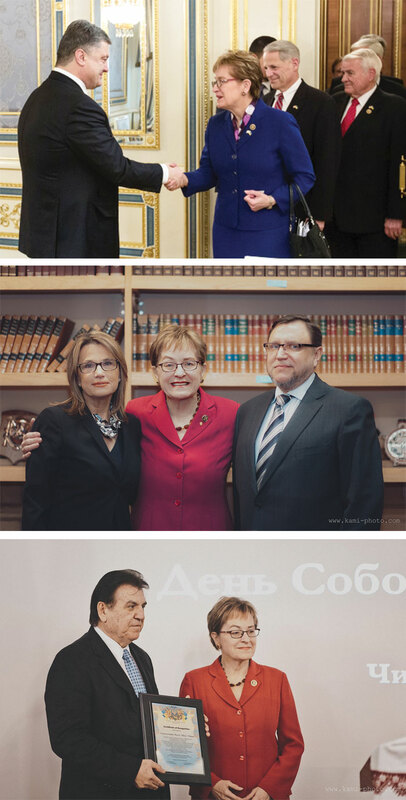 Congresswoman Kaptur said in an interview for Ukrainian Chicago Magazine. The Congresswoman’s own familial roots are deeply entwined in Ukraine’s complex history. Humble and honorable, Congresswoman Kaptur speaks highly of her Polish grandparents who emigrated from Ukraine in the early 1900s. Forced out of the country by Stalin’s regime and a Nazi invasion, Congresswoman Kaptur’s family, formerly known as the Rogowskis, lost contact with all relatives. It wasn’t until 1973 when the Congresswoman and her mother Anastasia Rogowski traveled to Soviet Ukraine that they reconnected with her grandmother’s brother who had been a political prisoner. Perhaps it’s gratitude for this luck and a deep connection to humble familial roots that’s pushed Congresswoman Kaptur to achieve far more than do most in the U.S.
By age 13, the Congresswoman was already a volunteer for the Democratic Party. She graduated from St. Ursula Academy in 1964, and then became the first member of her family to attend college. She graduated from the University of Wisconsin in Madison, and then completed her Masters in Urban Planning from the University of Michigan in 1974. Still, the Сongresswoman’s educational accomplishments are not nearly the most impressive part of her life achievements. Today she ranks 17th in seniority among the 435 members of Congress. Throughout her congressional career, Congresswoman Kaptur has remained steadfast in her determination to shield Ukraine from Russian aggression. In 2014, Congresswoman Kaptur co-sponsored the Ukraine Freedom Support Act. Congresswoman Kaptur said. “That sounds easy to say, but hard to do. This is something I hold very closely, and care very much about.” True to her word, Congresswoman Marcy Kaptur has proven over and over just how much she cares. Even in her first congressional term, the Сongresswoman was instrumental in passing a bill to create a commission on Holodomor, the Ukrainian Genocide of 1932 that had once been widely denied. Connections to the famine proved deeply personal, as Congresswoman Kaptur cited losing her own family members to the hunger. The Congresswoman’s work on Ukraine’s behalf has been continuous over the years. In recognition of her constant support, Congresswoman Kaptur received a personal thank-you from Ukrainian President Petro Poroshenko during her last visit to Ukraine in March. Marcy Kaptur’s strong sense of humility, her personal ties to the country, and burning passion for change are manifest in her words on the current Russian invasion of Ukraine. While Ukraine’s future hangs in the balance, at least one thing remains certain. With politicians like Congresswoman Marcy Kaptur, Ukraine’s story will surely live on in the hearts of Ukrainian-Americans nationwide who are fighting abroad in support for Ukraine’s present-day heroes. Our Forefathers also left Ukraine , early in the 19th century. Although we have not lived in Ukraine for the last 100 years , we keep in, with who we are. Our language and Culture is not negotiable. I have acquaintance with Rep. Marcy Kaptur from her first campaign and your article represents her very well. Would you put me on your email list. My grandfather was the last of my great grandfather’s son and was sent to this country to protect him from being killed as his brothers had in the Russian army (the greatest love to let go). He homesteaded in Makodi (sp? ), North Dakota. My mother, Elma’s, family name was Savchenko, a common Ukrainian name. My uncle George Savchenko was able to visit and video tape the old farm and some family on a return visit after doing translations for the Chernobyl nuclear crises. At the current time, I have lost track of those videos and some that I had converted to DVD. Being personal, and having Navy experience myself, have been reluctant to make them public. There are two versions. One version is in Russian and the other George edited and translated into English for me. My father often asked why my Grandfather homesteaded in such flat land? After seeing Uncle George’s video of the old farm land, it looked just like North Dakota. I would like to get a genealogy test, because my grandfather was tall around 6’4″ and looked like a statue picture I saw in the large northern town on the Russian border. Both have hints of Mongolia features. He was very skinny and very strong. He plowed two sections by mule. I was about 8 years old and he was taking me to a swimming hole. With the roads a mile apart we had the rare situation of approaching another car at an intersection. I was taken by my grandfather almost pulling the steering wheel off as he yelled “woe!” and he must have been pushing on the gas for strength as we seemed to speed up. All turned out well, as did the memory. At this time, I was also blessed to experience visiting the Orthodox church in Minot, N. Dakota. (now realizing it’s historical value). 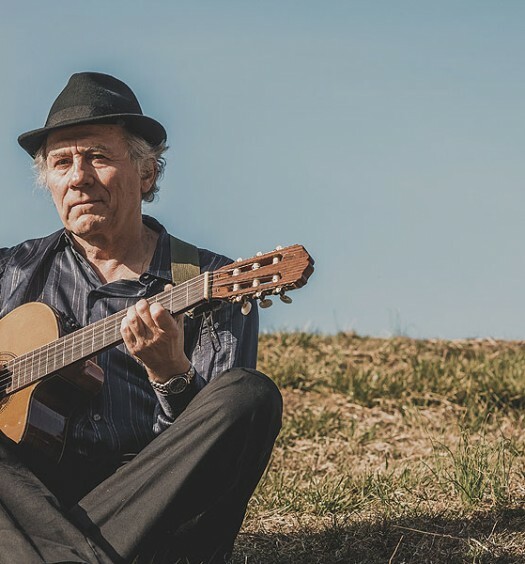 Ironically, I move to Northwood, Ohio an adjacent village to Rossford, Ohio that has a large Ukrainian community and was asked to join the dance group, but career and other commitments kept me away from that community. The female side came from Canada and maybe another interesting heritage of Dovich (sp?) with political or religious motivations to leave Ukraine. 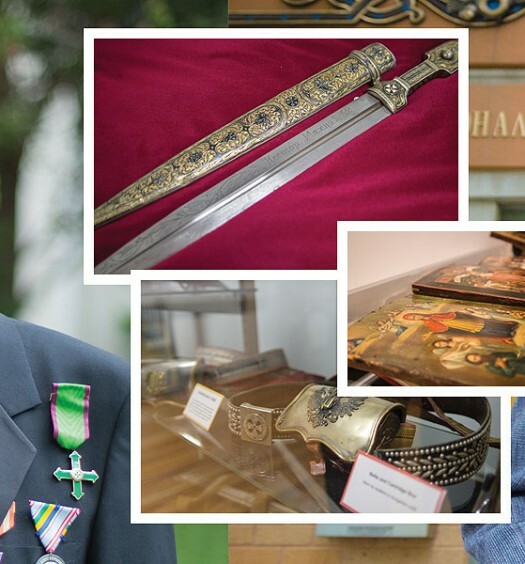 Hope you find these personal stories interesting for historical and cultural purposes. As you requested, we’d added your email to our list. Thank you for sharing your interesting story!